New Mexico is a state located in the southwest and western regions of the United States. 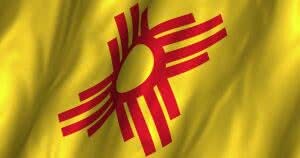 New Mexico is also usually considered one of the Mountain States. New Mexico is the 5th most extensive, the 36th most populous, and the 6th least densely populated of the 50 United States.New Mexico’s major industries include retail, construction, and technology. Names of New Mexico requires corporations should not be confused with any existing corporation or reserved or registered name. Company Express will research your company name to make sure it meets New Mexico’s standards. Required documents: Articles of Incorporation as well as a Statement of Acceptance of Appointment by Initial Registered Agent. Follow-up filings: Initial Profit Corporate Report has to be filed within 30 days of incorporation. Corporation’s principal office may be located outside of the New Mexico. Local registered agent is required. Time to file: Annual reports has to be filed with the New Mexico Public Regulation Commission on or before the last day of the month that marks the anniversary of incorporation. Signatures: Corporations may authorize signatories. Annual reports must be filed online. Names of New Mexico Limited Liability Companies can’t be confused with names of any existing entity or any name reserved with the Public Regulation Commission. Company Express will research your company name to make sure it meets New Mexico’s standards. Required documents: Articles of Organization and Statement of Acceptance of Appointment by Initial Registered Agent. LLC’s principal office may be located outside of the New Mexico. Local registered agent is required.